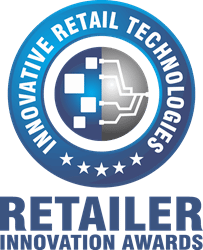 Retalon is an award-winning provider of advanced retail predictive analytics & AI solutions for supply chain, planning, merchandising, inventory management, pricing optimization, with a transformational approach to the retail industry. From inception, Retalon solutions were built on one unified platform powered by advanced mathematics & AI resulting in higher accuracy and the ability to optimize unique and complex retail processes. Retalon has worked with retailers from over a dozen different verticals to uncover hidden opportunities, and significantly increase bottom and top lines. Founded in 2002 in Toronto, Canada, Retalon has become a leader in retail predictive analytics technology receiving praise from industry experts such as Gartner, Deloitte, IBM, and Microsoft, as well as winning several supply chain innovation & retail technology awards. Retalon’s success comes from the ability to combine advanced mathematics with extensive retail management experience. Our expanding team is made up of the leading industry experts in applied mathematics, enterprise software development, and retail management. We pride ourselves in our ability to solve complex retail challenges for retail organizations with smart, intuitive and easy to use solutions.